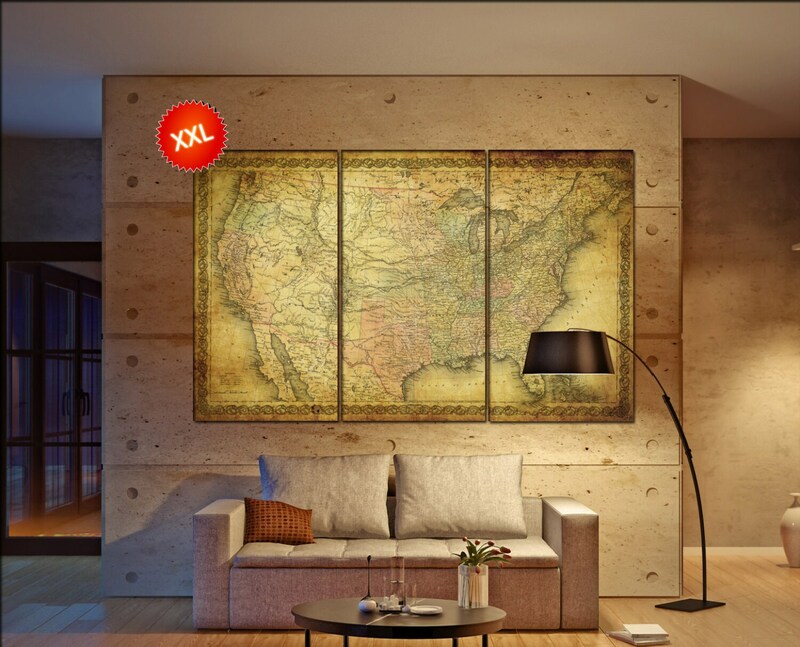 You will receive 3 or 5 panels / boards with high quality prints. 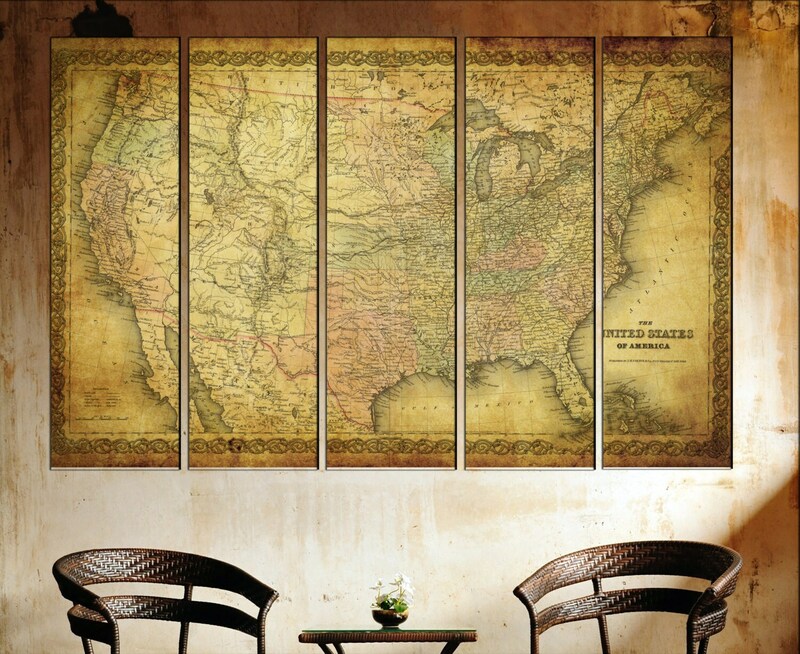 EXTRA WIDE 5 panels total size Inch 39"x69" : panel size 39"x13.8"
5 panels total size Inch 51"x79" : panel size 51"x15.8"
5 panels total size Inch 47"x69" : panel size 47"x14"
5 panels total size Inch (39"x59") : panel size 39"x11.8"
5 panels total size Inch (27"x39") : panel size 27"x7.8"
3 panels total size Inch 51"x77" : panel size 47"x23.6"
Amazing Job, just as advertised. Great quality, really beautiful. My daughter wanted to decorate our living room in "America". She loves this piece. Would recommend 100%. Canvas is beautifully done. Couldn't be happier. One of the best sellers I have worked with. 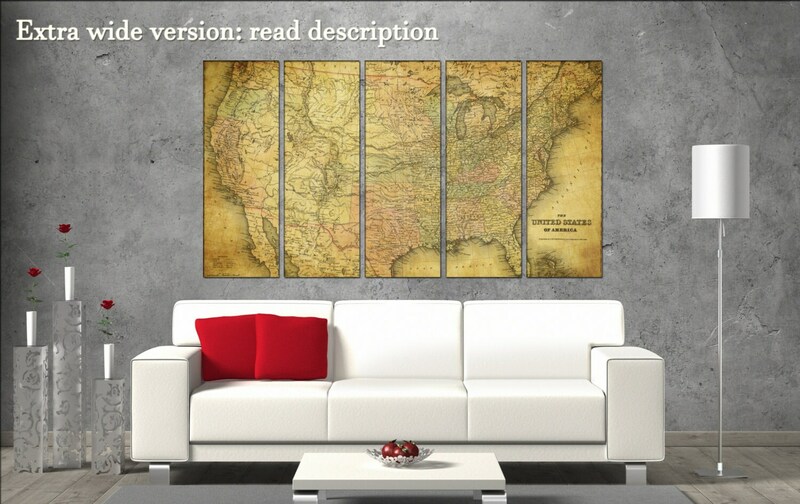 Very quality map with quick shipping. When there was a problem (totally my fault and misunderstanding) he went above and beyond my expectations to resolve the issue. It is absolutely beautiful!!! Perfect!!! Thank you so much!! I will post picture once it is hung:-) Thank you again! !